"The Earl of Leicester and the Riot at Drayton Basset, 1578"
ONE of the many formidable tasks confronting the first biographers of the Elizabethan Earl of Leicester (1532?-88), the Queens favourite, will be trying to determine the truth or plausibility of hundreds of accusations hurled at him in contemporary libels. Some of these are familiar  such as the alleged murder of Amy Robsart or of the Earl of Essex  and have been investigated; others are less precise, probably more important (e.g. his putative stranglehold upon appointment to all offices at the Court), and cannot be studied in isolation. It is possible now to offer a tentative answer to one of the less known charges, the Earls rough dealing for the manor of Drayton Basset. The most comprehensive source of imputations against Leicester is the 200-page pamphlet known as Leicesters Commonwealth (1584), written by Charles Arundell and other English Catholics in exile in Paris.1 One of its many arguments is that the wicked Earl has grown so powerful that he may oppress private citizens as he pleases, and does so regularly. On 20 or 21 June 1578, a friend of Robinson, William Harmon, approached the house ostensibly to reclaim household properties lent by him to Thomas Robinson, and Paramore himself turned the man away. He returned the following Sunday with friends of his own, at which time Paramores agent, John Floyd, shot at him, and he defended himself with a dagger; he says that if Floyd was hurt it was his own fault.6 Intermittent violence continued throughout the summer, involving Thomas and John Robinson, Walter Harcourt (kt. 1591, d. 1608) of Stanton Harcourt and Ellenhall (who had married their sister Dorothy) and several other local Harcourts, and at various times considerable numbers of other men. Finally, in a large-scale raid upon the manor, evidently on the 2nd of September, the Robinson party with possibly a hundred men won the house and hastily ditched and fortified it. Paramore then called in the aid of Humphrey Ferrers (later kt., d. 1608), a leading citizen of the nearby town of Tamworth and sheriff of Warwickshire in 1577 and 1588. Ferrers and Sir George Digby (whom the Commonwealth elsewhere refers to as one of Leicesters henchmen) returned with an armed band (allegedly some three hundred men) and assaulted the manor house, attempting at one point to burn the occupants out.7 In the ensuing skirmish, many men were injured and one of Ferrerss servants, Tristram (also called Thurston) Warde, was killed by John Robinson himself. Ferrers then rode up to London for help, but upon his return he again met resistance, and when shortly afterward, acting upon Privy Council orders of 14 September,8 the Lords Dudley and Stafford arrived to restore order they and their men were also resisted. By the 29th, however, the rioters had surrendered or had fled and been taken, for on that date the chief among them were committed to the Fleet prison.9 Government examinations of the participants, carried out chiefly by Dr. Bowes and Recorder William Fleetwood (whom the Commonwealth calls mad Fleetwood), got under way in mid-October,10 and on 21 October the Lords Dudley and Stafford were instructed to restore Drayton Basset, not to Paramore, but to Humphrey Ferrers.11 The government was also concerned to interrogate a number of the substantial gentry of the region, including Sir Francis and Lady Willoughby and Edward Arden of Park Hall, as evidently it was believed that most of the local country had encouraged, armed, and maintained the Robinsons in their possession.12 No charges grew out of these wider investigations. The case against the rioters was heard in Star Chamber, and of its issue we know that by October 1580 Harcourt and at least some of the others had been released upon payment of fines and sureties of good behaviour.13 We cannot be certain that John Robinson was indeed sentenced to death, but there is reason to believe that he was, for the margin of one of the many manuscript copies of Leicesters Commonwealth corrects the error in the printed edition in terms which suggest a first-hand knowledge: Here is a mistaking, for it was not Thomas Robinson, the owner of the land, that was thus condemned, but his brother.14 Thomas Robinson was still alive in 1588. Ferrys. Whear at your departure you had my LL. [Lords] of the Councells letters to the shryve of Staffordshire and lykwise to the Coroner of the same, for the examynacion both of the Ryott comytted of late in taking away the pocesion of Drayton howse, as also for the death of your man, My sayd LL. having since more delyberatly considered of the matter & findinge hit so rare & strange a cause as hath not happened in the tyme of hir Majesties [reign] as well for the notorius Ryatt as for the murde[r of one] of hir subjects, Ther LL. hath thought g[ood] by hir majesties comandment to [send?] dowen a sergiant of Armes to the LL. Dudley & Stafford, to be the better asistants in such a cause as this is, being the princypull noblemen of that shire, And to se theffect of ther late letters the better executed perceaving what frendshipps ar made to the bolstering & bering owt of so lewd attempts. And lykwyse to cause the princypall offenders to be sent upp by the said sergiant of Armes spetyally Harcourt & Robinson. Wherefor hit shalbe necessary for you to be reddy both with your proffs to Informe those LL. thear, as also to pros[ecute?] the hole cause by the asistance of all your frends & [torn] in that contrey, among whome, first my [torn] wyll do his best I doubt not. next, Tho. Trentam & Rafe Aderly, with others such as you know to be my frends wyll help with thir best. be you carefull & ernest therfore I pray you as a matter that toucheth both your honesty & myne honour. fare you well in hast this xiiij of Sept. The final lines of this letter leave little doubt that Ferrers was acting in the matter as the Earls agent in some sense. 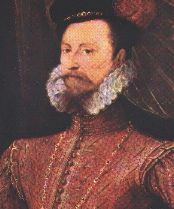 Another letter, of 13 November 1578, written to Leicester from the Court by his friend Thomas Wilson the Secretary, indicates that the Earl was impatient to have a speedy resolution of the affair. Wilson assures the then absent Leicester that their Lordships of the Council will soon have god leasure [to] deale with the ryot at Drayton Basset, whiche is preponed and abridged for the LL. to heare at al tymes with greate facilitie. He goes on to warn him that 'the Lord Paget, as I have heard said, reporteth that more is made of the matter than needeth, and that the Countrie hath been at greate charges without profitt.18 Thomas Lord Paget was later one of the exiled courtiers involved in the production of Leicesters Commonwealth and may therefore have been another source for its anecdote, but why he should have been trying to quash the proceedings against the rioters is uncertain. Perhaps, as a local magnate, lord of nearby Beaudesert, he too (like Willoughby and the others) resented Leicesters growing influence in his district. We are still unable to determine whether Leicester was actually guilty of the accusations made against him; we may assume not entirely so. We do know that there was a violent incident at Drayton Basset, that the Earl was involved in it in some measure at the time, and that he eventually fetched up with the title, however uncertain, to the manor in dispute; these facts are at least suggestive of some rather too energetic efforts on his part to increase his holdings in the country. We also know that the growing presence of his interests in the midlands was widely resented by the local population, and that this incident seems generally to have been understood as another step in Leicesters encroachments in the region. Similar resistance to his real estate activities has been observed in other localities, most notably in northern Wales. In any case, the accusations are not obviously far-fetched; once again Leicesters Commonwealth proves to be an accurate record, if not of the facts, at least of the gossip of the period. 1. Properly The Copie of a Leter Wryten by a Master of Arte of Cambridge (Rouen?, 1584), on which see Peck, Government Suppression of Elizabethan Catholic Books: the Case of Leicesters Commonwealth', Library Quarterly, xlvii (1977), 163-77. 2. A brief of the title of the Countess of Leicester to the manor of Drayton Basset, British Library, Lansdowne MSS., 62, item 53, fol. 127. This paper was brought to my attention by Dr. P. R. Roberts. 3. Calendar of Patent Rolls, 1563-1566, no.904, pp.175-6. 4. Victoria County Histories, Warwick, sub Shuttington. 5. Star Chamber testimonies, Public Record Office, STAC 5/A.26/7 and A.4/26. 6. STAC 5/A.4/26, item 5. 8. Dasent, Acts of the Privy Council, x, 324. 10. A.P.C., x, 349; Historical Manuscripts Commission, Salisbury MSS., ii. 222. 11. A.P.C., x, 353; see also 336, 338, 344, 396-7. 12. See the various interrogatories and answers in Star Chamber records (no judgments survive), STAC 5/A.4/26, A.24/25, A.25/14, A.26/7, A.30/27, A.54/5. Arden was known as an enemy of Leicesters; in describing his execution in 1583, both Camden (History of Elizabeth, tr. 1630, iii. 28) and the Jesuit Robert Parsons (Catholic Record Society, iv. 115, and xxxix. 188-9), and more obliquely the Commonwealth as well (166), ascribe it to Leicesters malice. Willoughbys sister was the wife of Charles Arundells brother Sir Matthew, which may be one route by which the incident found its way into the Commonwealth. 13. A.P.C., xii. 206, 243. 14. British Library, Lansdowne MSS., 265, fol. 41. 16. Huntington Library MSS., H A 2376. 17. Pierpont Morgan Library MSS., M A 134b, no. 141 (abbreviations expanded). The Serjeant of Arms was Thomas Johnson. 18. British Library. Harleian MSS., 286. fol. 37. 19. British Library. Lansdowne MSS., 62, item 53, fol. 127. 20. Huntington Library MSS., H A 2377. 21. Collins, Sydney Papers, i. 71; British Library, Harleian Roll D.35. i-xi, fols. 54.59, 70. 22. Victoria County Histories, ut supra. Please do not reproduce this text in any form for commercial purposes. Further historical references can be found in D. C. Peck, Leicester's Commonwealth: The Copy of a Letter Written by a Master of Art of Cambridge (1584) and Related Documents (Athens: Ohio University Press, 1985). Feedback and suggestions are welcome, . First published in Notes and Queries, 1980, posted on this site 23 August 2001.